Hair Advice (+ all things nice) | UK Hair Blog: Shine On! Using a cleansing shampoo will help rid your hair of product build up. If you are anything like me, and love texturising sprays and creams you'll probably get the same dull build up over time. Not cool. 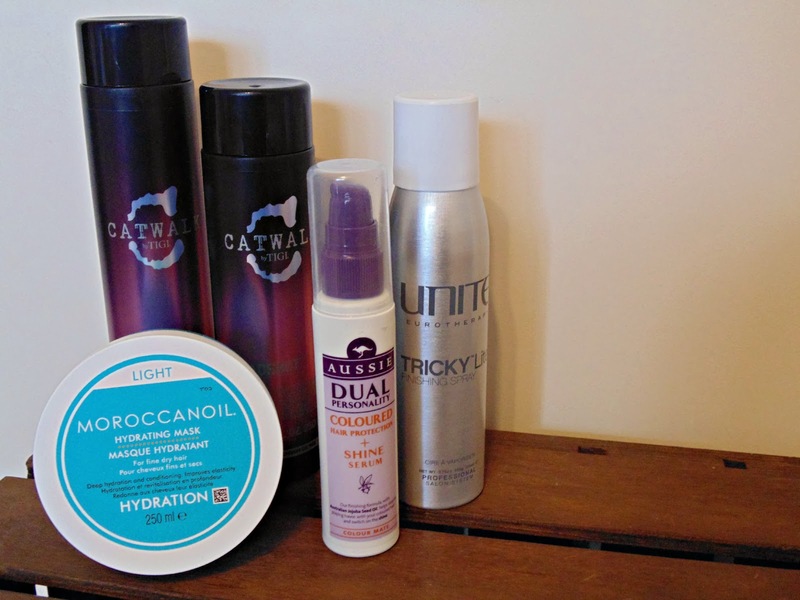 I've been using Catwalk by TIGI Headshot Shampoo & Conditioner (available soon!) and have to say it's great at gently removing build up leaving hair fresh - smells pretty good as well! Blowdrying hair using a boar bristle brush, and keeping the nozzle facing towards the floor will help encourage the cuticle to lie flat, which is what helps creates shine. Often colouring hair can boost shine short-term but it's really crucial you look after hair if you do colour - or look for semi-permanent or toners rather than harsher permanent colours. Diet is massively important for keeping hair (and your skin & nails) looking healthy, eating foods rich in zinc, and other nutrient loaded goodies will help give hair a great start in shine. I love using a deep conditioning treat on my hair every once in a while, and this Moroccanoil Hydrating Mask is a gorgeous, luxurious treatment that leaves my hair feeling completely pampered. Best enjoyed with a big hot chocolate and a cuddly blanket. And the cheats, a good serum or shine spray will help boost shine quickly. My favourites are Aussie Dual Personality Serum and Unite Tricky Lite Finishing Spray (available on Amazon) for a quick fix. The Aussie Serum smells beautiful and a little goes a long way meaning it'll last a while. A few drops of this, or a spray of the Unite Finishing Spray will calm frizz and flyaways creating a shine.